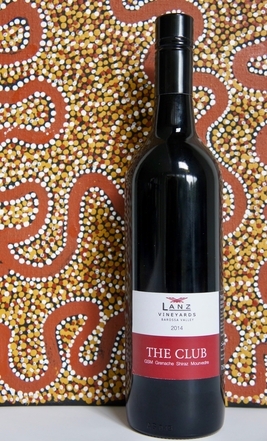 THE CLUB GSM is a succulent, medium-bodied, easy-drinking and very food-friendly wine. Soft Grenache, fleshier <?xml:namespace prefix = st1 ns = "urn:schemas-microsoft-com:office:smarttags" />Shiraz and more structured robust Mourvèdre. The varieties ripen at different times over a period of several weeks. The grapes, partly hand-picked, are fermented separately and put in barrel. The final blend is assembled around 6 months later after extensive tastings, then barrel aged for about another 6 months. Cellar up to 8 years. Fresh and harmonious marriage of fruit and spices (thyme and rosemary), red and black berries and plums. The fine tannins are well integrated, long finish. Mediterranean cuisine, all pasta, barbeques, roasts - or just enjoy it with your “CLUB of Friends”!